Australia has been described as the "front line of the battle for climate change adaptation", and our farmers are the ones who have to lead the charge. 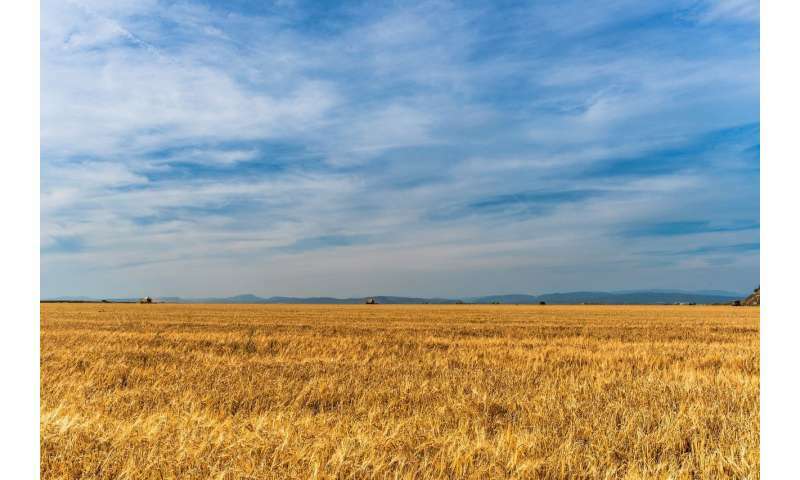 Farmers will have to cope, among other pressures, with longer droughts, more erratic rainfall, higher temperatures, and changes to the timing of seasons. Back in 2008, only one-third of farmers accepted the science of climate change. Our 2010-11 survey of 946 irrigators in the southern Murray-Darling Basin (published in 2013) found similar results: 32 percent accepted that climate change posed a risk to their region; half disagreed; and 18 percent did not know. These numbers have consistently trailed behind the wider public, a clear majority of whom have consistently accepted the science. More Australians in 2018 accepted the reality of climate change than at almost any time, with 76 percent accepting climate change is occurring, 11 percent not believing in it and 13 percent being unsure. Yet there are signs we may be on the brink of a wholesale shift in farmers' attitudes towards climate change. For example, we have seen the creation of Young Carbon Farmers, Farmers for Climate Action, the first ever rally on climate change by farmers in Canberra, and national adverts by farmers on the need for climate action. Since 2016 the National Farmers Federation has strengthened its calls for action to reduce greenhouse emissions. Now, 43 percent of farmers accept climate change poses a risk to their region, compared with just 32 percent five years earlier. Those not accepting correspondingly fell to 36 percent, while the percentage who did not know slightly increased to 21 percent. There are many factors that influence a person's denial of climate change, with gender, race, education and age all playing a part. While this partly explains the attitudes that persist among farmers (who tend to be predominantly male, older, Caucasian, and have less formal education), it is not the full story. Yet as these changes move from future prospect to current reality, they can also have a galvanising effect. Our survey results suggest farmers who have seen their farm's productivity decrease over time are more likely to accept the science of climate change. In addition, we have found another characteristic that is associated with climate change denial is whether farmers have identified a successor for their farm. Many farmers desire to turn their farm over to the next generation, hopefully in a better state than how they received the farm. This is where the psychological aspect of increased future uncertainty plays an important role – farmers don't want to believe their children will face a worse future on the farm. We all want our children to have better lives than our own, and for farmers in particular, accepting climate change makes that very challenging. But it can also prompt stronger advocacy for doing something about it before it's too late. Whether farmers do or do not accept climate change, they all have to deal with the uncertainty of weather – and indeed they have been doing so for a very long time. The question is, can we help them to do it better? Given the term "climate change" can be polarising, explicit climate information campaigns will not necessarily deliver the desired results. What farmers need are policies to help them manage risk and improve their decision-making. This can be done by focusing on how adaptation to weather variability can increase profitability and strengthen the farm's long-term viability. The form of the weather is changing, but it is not climate change. Weather is not all of climate and it is only weather that is changing. And that is the result of chemtrails, the program of doping the atmosphere with weather modification chemicals from high flying jets, producing long, non dissipating vapor lanes that can last for an hour and stretch from horizon to horizon. In the '50's, when they were invisible, they caused things from the number of tornadoes to go from about 180 a year to eight or more times that now, and the formation of the new cloud species cirrus intortus. In 1997, the air became saturated and chemtrails became visible. 1997 is also the year reports of the worst "el Nino" event; the worst hurricane season; the warmest years; accelerated glacier disappearance and the new cloud species undulatus asperatus began. To care about the weather is also to discuss chemtrails. So, jp, occurring across continents and hemispheres, even globally? Must be soften to " the weather is changing" and "I never take responsibility for any of my errors of bad judgement". Because you deniershills are such delicate, protected creatures. Safely cocooned in privilege from harsh reality. The term "Global Climate Change" must be forbidden and suppressed by you politically correct deniernazi enforcers for the Status Quo of Conformity. Worshipers of the divinity of Mammon. I have told you before about chemtrails. You need to go down to the nearest airport and kiss all the aviation professionals. For their heroic efforts at globally spreading a cocktail of pernicious micro-organisms. Thus inoculating the World's Population from the disastrous results that had afflicted the isolated populations of the First Americans, Pacific Islanders, and Africans. When the vermin-ridden European savages overran the native civilizations.